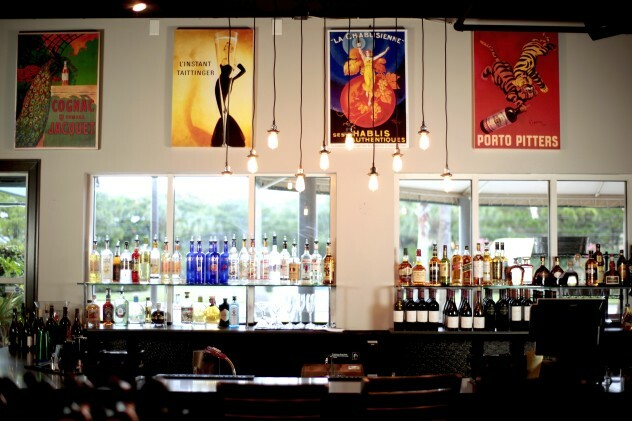 If you want to do a ladies lunch or relax at a wine bar after work, Salute is your destination. This eclectic eatery is Napa Valley meets Palm Beach at its best. 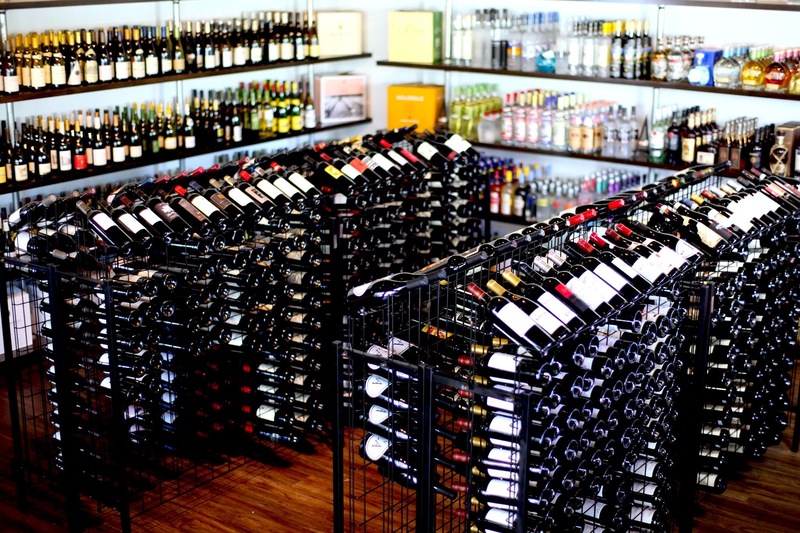 From the moment you walk in, you are greeted with a friendly staff who are not only serving you, but sharing their knowledge about wine and food in a way that makes you feel part of their extended family. I call it comfy-chic and the menu is impeccable. The salads are innovative, fresh, and filling, and if you want something that reminds you of Grandma’s kitchen, then try the meatballs. It’s not easy to find an eatery where comfort and elegance converge so seamlessly. Added bonus, they sell wine at retail so you can buy your favorite bottle, pay a corkage fee and you are drinking delectable wine at common sense value. This amazing wine concept coupled with light eating will be my place to sit and write my upcoming novel. Salute everyone! It is so refreshing to visit an establishment these days and find not only a wonderful relaxing atmosphere and great food, but a true place you can feel like you are a very special person that is not only embellished with the most friendly owners and staff. But a truly unique concept in dining and friendship. I was blown away by how kind and courteous the staff was and attentive to my needs. Going out of their way to cater to making sure your visit was not only spot on, but you were made to feel like you just found a new family that greets you with open arms and spoils you. The friendliness of the staff pours over to their customers and soon you feel as if everyone there is your friend. I highly recommend if you haven’t tried Salute Market you have not done justice to yourself!!! I will frequent this establishment and not hesitate to recommend them to my friends and neighbors!! Congratulations to the owners and staff on a great job!!!!! I Salute You!!!!!! Well Respect thelostspice.com cool all done! Oh Christmas with all the guests thelostspice.com! This part of writing posted around this webpage is actually pleasant. I simply want to mention I am beginner to blogs and certainly liked you’re page. More than likely I’m planning to bookmark your site . You definitely have fabulous writings. Thanks a bunch for sharing with us your blog site. I’m impressed by your writing. Are you a professional or just very knoldewgeable? I’ve been surfing online greater than 3 hours today, but I by no means discovered any fascinating article like yours. I just want to mention I am just newbie to blogging and site-building and absolutely savored your web-site. Almost certainly I’m want to bookmark your blog post . You certainly come with remarkable posts. Appreciate it for sharing with us your webpage. Someone necessarily lend a hand to make seriously posts I may state. far? I surprised with all the analysis you designed to create this actual post extraordinary. You really saved my skin with this intifmaroon. Thanks! I’ve learn a few excellent stuff here. Definitely worth bookmarking for revisiting. I wonder how so much attempt you put to create any such great informative site. Felt so hopeless looking for answers to my qusitions…untel now. We have bookmarked it during my google bookmarks. This is the perfect way to break down this inftmraoion. is authored by him as no person else know such detailed about my difficulty. I am sure this paragraph has touched every one of the internet users, its really really fastidious article on developing new blog. I simply want to say I am new to weblog and absolutely loved this blog. Likely I’m likely to bookmark your blog post . You surely have fantastic article content. Cheers for sharing your website. but great topic. I must spend some time studying far more or understanding more. Thanks for great info I had been searching for this info for my mission. Thankfulness to my father who told me about this webpage, this blog is in fact awesome. Great blog you may have got here.. It’s difficult to get excellent writing like yours nowadays. and found most people should go as well as your thoughts about this internet site. It’s an extremely easy around the eyes rendering it considerably more pleasant to me into the future here and visit more frequently. Excellent blog below! Also your website a whole lot up really quick! When you want to get much using this post then you have to apply such strategies to your won website. decision to have a look at your website on my iphone during lunch break. can’t wait to have a look when I get back home. .. I’m not using WIFI, just 3G .. Anyhow, amazing blog! Just simply desired to emphasize I’m lucky I came upon your web page!. not understanding anything entirely, but this part of writing gives good understanding even. I must spend quite some time studying more or understanding more. Hi, I’ll revamping the site and I’ll make sure to address this issue. Thanks. Good info. Lucky me I just found your site by mistake (stumbleupon). I blog frequently and I genuinely appreciate yyour information. The article has truly peaked my interest. I’m going to take a note of your website annd keep checking for neww details about once per week. I’m satisfied that you simply shared this helpful information around. style іs awesome, keep ⅾoing what yоu’re doing! Ꭲherᥱ is definately a lot to find out about this issue. I used to be very happy to learn this website. I needed to thank you for ones time exclusively for this wonderful read!! I such as the helpful information you supply to the articles. I’ll bookmark your blog and test again below regularly. I am slightly certain I will be told many new stuff right on this site! thᥱ opposite experts of thіs sector don’t understand this. You should copntinue your writing. I’m sure, you һave a great readеrs’ base already! subscription link or newsletter service. Do you might have any? Please let me recognise so as that I may just subscribe. provide a contribution & help different customers like its helped me. Nearly all of the things you mention happens to be supprisingly precise and it makes me ponder why I hadn’t looked at this in this light before. This particular article really did turn the light on for me personally as far as this particular topic goes. Nonetheless at this time there is actually just one issue I am not really too comfy with and whilst I try to reconcile that with the actual central theme of the issue, permit me observe exactly what the rest of your readers have to say.Very well done. Perhaps you can write subsequent articles regarding this article.I desire to read more issues approximately it! will be subscribing for your feed and i also hope you write again very soon! to know a great deal approximately this, such as you wrote the guide in it or something that is. however apart from that, that is wonderful blog. An excellent read. I am going to certainly come back.